Green Communications showcases its Green PI product for connected drones at SAFRAN Group booth during the Hello Tomorrow show on October 13, 2016 in Paris. Groups of drones organized in swarms achieve more sophisticated missions than a single drone. They offer an Internet Infrastructure up in the air and realize collaborative tasks. Drones swarm is made possible thanks to our unique embedded system for IoT called Green PI. It consists of tinny and low power routers. Once embedded onto drones, Green PI connects them with a robust, high bandwidth and self-organized device-to-device network transferring real time videos and data. For more information about the Hello Tomorrow Show, follow the link. If you want to meet with a member of our team, please, contact-us. The Carrier Pigeon, a drone product developed by Green Communications, has been selected for Viva Technology show’s Hall of Tech among 84 competing solutions. Carrier Pigeon Drone, a Delay Tolerant Network Technology, forwards digital information to unconnected crowds of a festival, an event, etc. 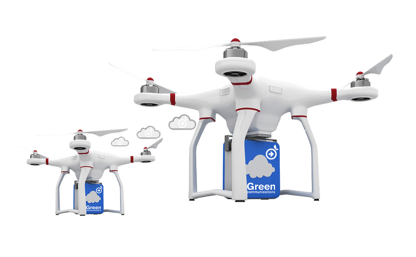 Drones use Green Communications’ embedded technology (Green PI) to create a flying and connected MEC (Mobile Edge Computing). They hold a local cloud and transfer it from one location to another like a Carrier Pigeon without the need of any network infrastructure. From June 30th to July 2nd 2016, Viva Technology’ show will bring together the most innovative startups, investors, academics and executives to shape the future and propel digital transformation. For more information about the event, please follow the link. To know more about our products, please, contact us. Green Communications will exhibit and demo the Participatory Internet at the Orange Lab booth ORA_007 during Viva Technology show from June 30 to July 2 in Paris. 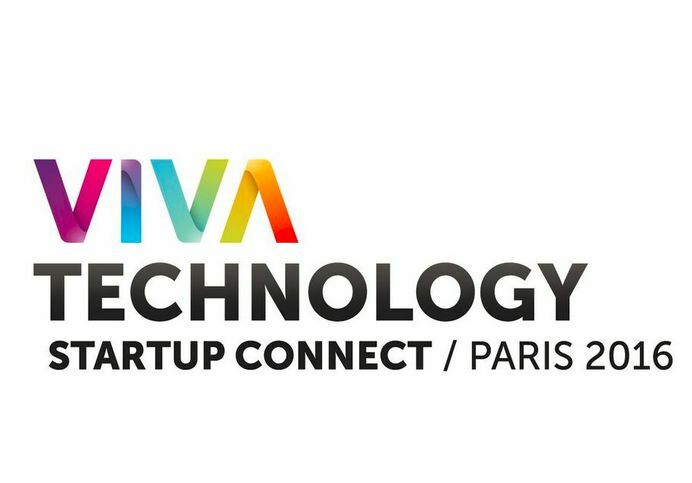 Viva Technology Paris mission is to bring together the most innovative startups, investors, academics and executives to shape the future and propel digital transformation. The Participatory Internet developed by Green Communications aims to increase the capacity of Internet and reduce its carbon impact by bringing the telecommunications network in everyone’s pocket. Find more information about Viva Technology Paris by following the link. To meet with a member of our team, please send us an email. Green Communications demos its Green PI technology at the Connected Conference on May 26 in Paris. Come to visit us at booth #FA at the Startup Village. To meet with a member of our team, please contact us. 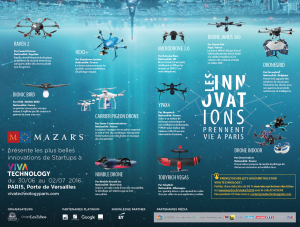 Green Communications is selected for the final round of the “connected objects and smart cities” startup challenge organized by the Mayors of Île-de-France Association (AMIF) in partnership with EuroQuity and the incubators 104factory, Agoranov and Descartes. On April 14 and during the Mayors of Île-de-France Annual Meeting, Green Communications presents the Participatory Internet before a jury composed by elected officers and actors of the innovation. To meet with a member of Green Communications’ team, please, send us an email. Green Communications is selected to present its technology Green PI during The Pitch Deloitte 4th edition on April 14, 2016. The Pitch Deloitte is an event organized by their department of innovation. It gathers start-ups, investors, major accounts and media around the innovation and entrepreneurship. On April 14th, 9 start-ups cover 3 categories: Blockchain, Artificial intelligence and Cleantech. Find more information about the event and tickets reservation here: https://thepitch.cloud.deloitte.fr/. To meet with a member of Green Communications’ team, please, contact us. Green Communications exhibits its technology Green PI at the ICIN Conference on the following topic: “Toward a participatory device-to-device Internet”. Meet with Khaldoun Al Agha, CEO of Green Communications on March 1st at the Demo Track. Find more information on the event by following the link. To book an appointment with Mr. Al Agha, please send us an email. The SIA Lab, innovation’s laboratory of the French Defense Procurement Agency (DGA), invited Green Communications to present its secured and wearable WiFi networks during the monthly SIA breakfast meeting. Abstract: WiFi allows an easy deployment of on demand communication networks. Its international community enriches the technology features and enhances WiFi performances. Green Communications created Green PI, a solution enabling the easy and rapid deployment of extended and secured WiFi networks. The solution uses wearable routers coupled with a routing protocol that achieves videoconferencing over 10 Wi-Fi hops. The breakfast will take place on March 1st from 8:00 am to 9:15 am at SIA Lab’s office. To attend the breakfast meeting, meet someone of our team or get more information on our products, please send us an email. Governance and transformations of the entrepreneurship models: culture and development, technical and social innovations, forms of employment, digital technologies, and public policies. During the event, over 500 entrepreneurs, leaders of the social and solidarity economy, practitioners, researchers and political and institutional leaders from all continents will gather around the central theme of human development of cities and territories. If you want to meet us during the Mont-Blanc Meetings, please contact us. Green Communications is one of the top startups selected for the 100 Pitching Competition taking place during SLUSH Conference on November 11 to 12 at Helsinki. Come and meet us at the pitch stage at 9:30 am on Wednesday or at booth #15 from 4 to 6 pm on November 11 and 12 am to 2 pm on November 12.